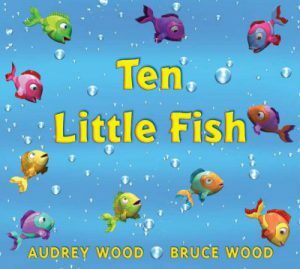 We read all about fish in today’s Infant Storytime! Blue (our library fish) swam over to play with us. Even though we took our storytime “under water” we had lots of fun and we didn’t get wet! 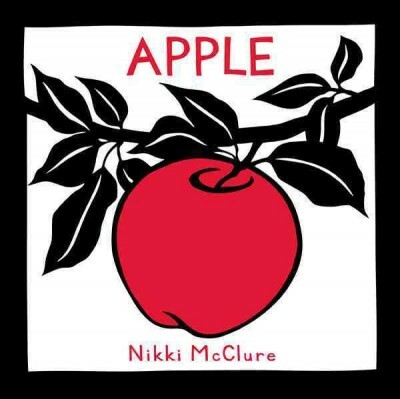 Here are the books, songs, rhymes, bounces and flannel stories we shared. 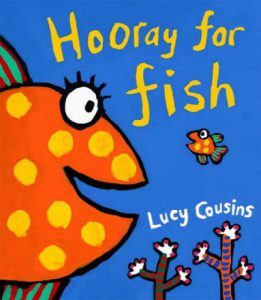 Hooray for Fish by Lucy Cousins is full of bright, colorful, diverse, wacky, playful and wonderful fish. We met a spotted fish, a stripy fish, a happy fish, a gripy fish and many, many more! 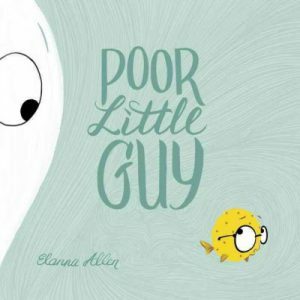 Although the book is a bit long it is easily shortened to fit an infant’s attention span. It is also chock full of amazing illustrations that will keep your baby engaged throughout and introduces counting in subtle ways. 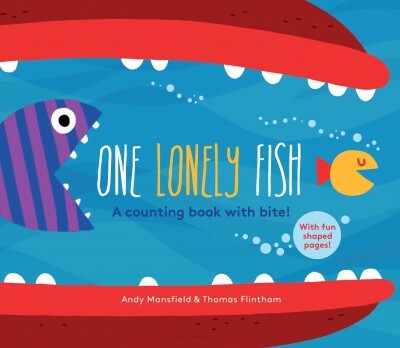 In One Lonely Fish we do a little counting and meet 10 fish. The 10th fish is SO HUGE that it eats all of the smaller fish that came before it! Not to worry, it’s just a story! 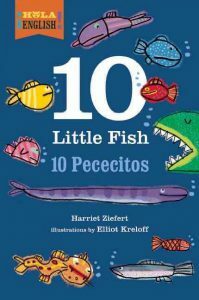 A great book that teaches counting, builds anticipation and touches on size comparisons (going from the smallest to the biggest fish and everything in between. 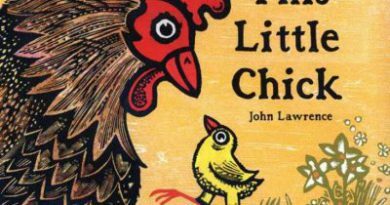 A great book for infants and toddlers. There Are So Many Fish! 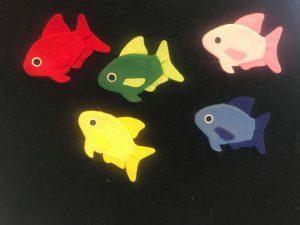 There are so many fish in the sea…what color fish do you see? 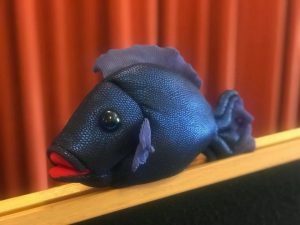 If you’d like to read more stories about FISH, check these out from your local Pasadena Public Library. ← Kids’ Art Salon ~ Skyscrapers!